We are all experiencing new changes in our lives; even the ones that are not fully awakened. This time of creation is our destiny and hope for our future, our children’s futures, and all of humanity. As I was sitting here this morning contemplating writing a decree for 11:11:11, there are so many frequencies that are coming towards me to share with others. Life changes in a flash of the eye from one moment to the next. It is what we do with those flashes of time that make the important decisions within our lives. Some of these moments we have made bad decisions due to the challenges that we fully endured, but yet we all know we create our own destiny in each of these experiences. 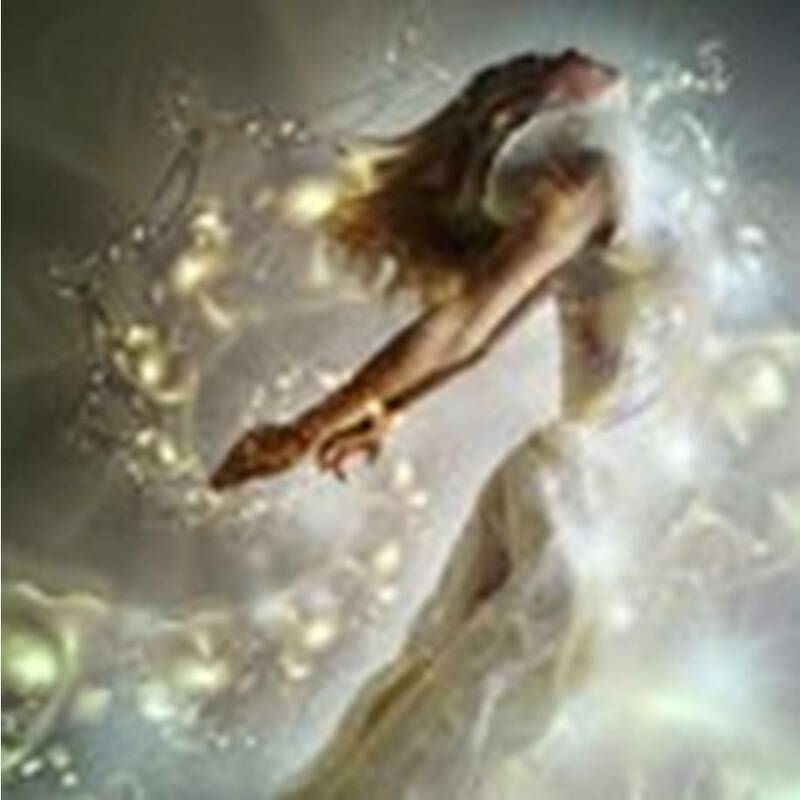 I pose a question to each of you as a Teacher of Ascension, “What is your highest desire for yourself in this frequency of November 11th, 2011?” We are all accelerating in leaps and bounds fully coming into our destined positions as friends, teachers, healers, confidantes, comrades, and many more expressions. Our most important asset is to fully assist ourselves as without that action within us, we cannot fully be in the Oneness that we are all striving to achieve. The next question is, “Are you ready to walk through the doorway that your I AM Presence is illuminating for you.” It takes courage, strength, and endurance to keep doing the walk of the spiritual master within a physical body. We are being tested presently by our conditioning but most important, by our highest spiritual attainment within this physical world. We all have a great gift to give onto this world and share it to others. But can YOU GIVE it to YOURSELF first? That is the question we all need to think about. The deepness of our Love of Our SELF. In order to aspire to these heights of greatness that we are being guided to share, we must fully express it within ourselves deeply. This is not an easy task at all. It takes all the attributes as I have shared previously and so much more. Deep love of the self so that no one can put us under, so that we strive to be the best of the best of our abilities within our highest frequency and not in the lower forms of the body. Many are hurting right now as we move onto these increased frequencies. And rightly so….it is now time to aspire to our own greatness in order to share with the world. In order to achieve these elements we must fully strip away everything that we ever held dear within our physical existence and sometimes that means people that we have known for a long time. This walk is strewn with great adversity but within that challenge is the ability to fully embrace our own Divine Essence fully within a physical existence. My words today were prompted by my own experiences. As a Teacher of over two decades of ascension, I have strived to become the best I could be and ridding my fears and anxieties onto the Universe, thereby, accepting my Divinity. I am no different than any of you. I may have been on this path longer or even shorter than some, but the journey continues each moment. The challenges that we face are still being created so our initiation process of mastership can be achieved within these amazing bodies we call human existence. My challenges are now on a global level and sharing with others; giving some of my abilities to another to share so that my empowerment will grow in a different way and their empowerment will be birthed for their ecstacy of existence. It is the ability to be in Oneness ~ to be a separate individual but yet to fully embrace others in the same moment. These are just thoughts for you to muse over as we come fully into our power as we never have before. Are you willing to surrender to elements within your life that will empower you even more or do you want to hold onto the old thoughts that keep you entrenched in the old paradigm of your existence? This is very important as we glide into the New Earth existence and become the leaders, standing with Ascended Masters we love, the Inner Earth Beings of Lemuria, and the Inter-Galactic Leaders of the Cosmos. It is now our time to come into full Oneness of the Unified Whole. As we move closer onto the frequencies of this amazing event, many are guessing what it may be like for them. With the work I am doing I have been sharing teachings and attunements to help with the balance of our lives as we are destined to fully incorporate the new wave of creation within us. Each of our experiences will be different but quite similar. That is what we hope for as the change is happening in these moments. I have been gifted with many people coming into my life recently. Being in Mt. Shasta has fully changed me in ways that I was not prepared to receive; but our Higher Selves are the makers of our destiny and sometimes we do not realize what is going to occur. It is about fully integrating those higher essences within each of our selves. Many know I have spent many years doing this work, accelerating myself with my Light Quotient in order to share with each of you. I am no different than many; I chose to do the work for myself and for others as Spirit taught me very deeply. About a month ago many changes happened to me. A good friend arrived here to fully experience the energies of Shasta as I was here to assist him in the shamanic journeys, ceremonies, and the essence of Mt. Shasta which is so much a part of my Beingness. 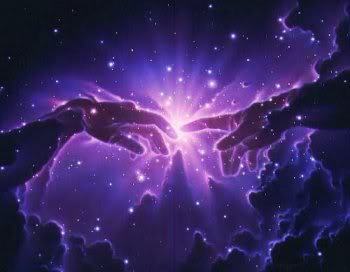 We found we need to work with one another, and he is returning but not without some shifts in consciousness. I found within myself during that time that Lady Isis wanted to fully walk with me as she taught me to embrace my Divine Essence of the Goddess Within. He helped me doing so by being supportive during that time. I cannot tell you what it feels like to hold these energies. It is encompassing and sometimes very uncomfortable. I have been unsure of what I am supposed to do with it. My thoughts of these elements have shifted dramatically with another inidividual that appeared in my life. Around the same time I met IAM up on the mountain. He resonates with a Telosian energy, full of love, but yet so very intergalactic. Our initial meeting was brief as the snow was falling but I found a complete connection to this young man. Little did I know how much he would change my life. As of this week, IAM contacted me again. He came to visit with myself and my friend, Heather, who is now in Shasta which I have to say is another great support of family coming together. We spent three hours of talking and listening to his stories of intergalactic travels. He lives in his car on the mountain and is gathering people together in unison between Telos and Mt. Shasta. He returned again yesterday. He channels the 144th dimensional frequency of a Unified Group of Oneness that overlights all frequencies. We included my friend, Mike, from the East who is returning to do the work more fully and the information is quite interesting. IAM is very highly attuned and asked if Heather and I would like to have our 5th dimensional timeline put into the 3D. We both accepted willingly. What has resulted in the last 24 to 48 hours is something that is very hard to explain. I had to look at my new partnership in a new way but yet I truly knew that this was the pathway that I wanted. Sometimes we want things to happen that are from our old existence and we think we can bring it into the new world. Everything changes when you are guided to work with certain individuals for a higher pathway and you must surrender onto it deeply. I surrendered onto the Isis frequency when my old self wanted her protection, but yet I found a newfound freedom within me that grows with each moment. I was so set on having a certain type of relationship that I was willing to forgo the work that we had been guided to do in order to receive that energy within my life due to my own feelings of lonliness and having the need to feel loved. I know I am loved deeply by many but this gentlemen, IAM, fully changed me completely and helped me to accelerate my life through the Being I AM. I will say that I fully did not know how I was going to surrender my entire world onto someone that I was not committed to in a full relationship. I have re-read his words to me time and again to see a deeper meaning within myself and realized that I was not staying with the higher vision. He arrived in Shasta at a lower vibration than I which I helped him to achieve through his own diligence but yet, this morning, I realized his vision of a physical relationship was much more a 5th dimensional frequency than I was allowing myself to accept. We are intimate friends, partners, and comrades, but I wanted the whole kit and kabiddle with someone. We have been going at each other energetically because I was ready to say ‘no, this is not the way I have dreamed it to be.’ But how can you turn something away that represents the frequencies of your pathway with another in a 5th dimensional way of Being. I believe that truly this is happening and on this day, as I awoke in tears again, I realized that I was surrendering but yet in an other moment. Not to him, but to the pathway that we are destined to create. My thoughts were I would feel lost and if I gave up my power in my work, who was I to BE? This is how I had defined myself for many years, and now was another moment of Surrender. In order for each of us to aspire to greatness people will arrive in our lives to help us see these elements. IAM assisted me with this as he gifted me in many ways. Accessing the 5th Dimensional Timeline has truly made me see what my other senses were not allowing to Be within Me. This pathway of the timeline exchange is not easy. I have spent years and years clearing, and I do not think I could do it if I had not been ready. I will be working with IAM also but in a different way assisting him in his channeling to be a translator of this frequency. There is more to come which I will not share at this time, but I fully see why I arrived in Mt. Shasta as I have. Basically, what has occurred to me is that I fully have allowed the Divine Feminine to be embodied within my physical in the last month. I am learning to step back and let another who is very powerful in his own right to be the male counterpart in my work. This is not easy especially with the type of relationship that we have together. I have no idea where it is taking me, him, or us, but I must continue upon this pathway in a different way that I imagined. When Lord Adama came to me on the mountain and said it was time for me to step back and let my Dearest Friend, Mike, step forward in my ceremonies, I accepted but not without an inner pull on that physical level. It is not easy to surrender your magical work onto another. It takes great courage and strength to fully let go of the old world of existence. So today after this intense Death Experience, my Blessed Native Teacher “No Eyes” has shown me that this is just another step onto the pathway of Light and Love in order to show others the way. I have always been a pioneer and this is no different. It is time to fully step with another no matter what type of relationship it is. I trust in Divine Mother and Father God that I am being guided in each moment as the events of these past 48 hours have shown me. I am ready no matter what the outcome will be. It’s about continually moving forward. Love surrounds me everywhere I go with the magic of Shasta. I have learned to command it and now that I fully can accept my own Feminine Divine from Isis and Mother God, I believe there is no better way to express it than through the essence of the Divine Father God through my new partner and friend, Mike. This is just my story and I know each of you have your own. We are being pushed and prodded in many ways to fully be the Illuminator of Light upon this Earth as Gaia is going through her own Death Experiences. It helps to know we are not alone and that these elements are only going to be more powerful for us as we walk into The New Paradigm of the New Earth.